PropSwap, a marketplace for bettors to sell live betting slips, just announced its expansion into Illinois and New York. With 11 states now offering the service to buyers, co-founders Luke Pergande and Ian Epstein have their eyes set on California. PropSwap, a marketplace for bettors to sell live paper betting slips, announced its expansion into Illinois and New York on Friday. The two new states become the 10th and 11th in the country where it is possible to buy betting slips, even as the legalization of sports betting remains in limbo in both states. PropSwap is banking on the ruling from the Nevada Gaming Commission that their company is not a gambling venture, but a marketplace for already made bets, to keep state gaming commissions at bay. “It’s been in the works for 18 months in both states, and we felt comfortable enough with the laws in New York and the communication we’ve had with gaming officials and the attorney general’s office to launch,” co-founder Luke Pergande said. “Broadly speaking, the sentiment about sporting betting is that it has never been more accepted. 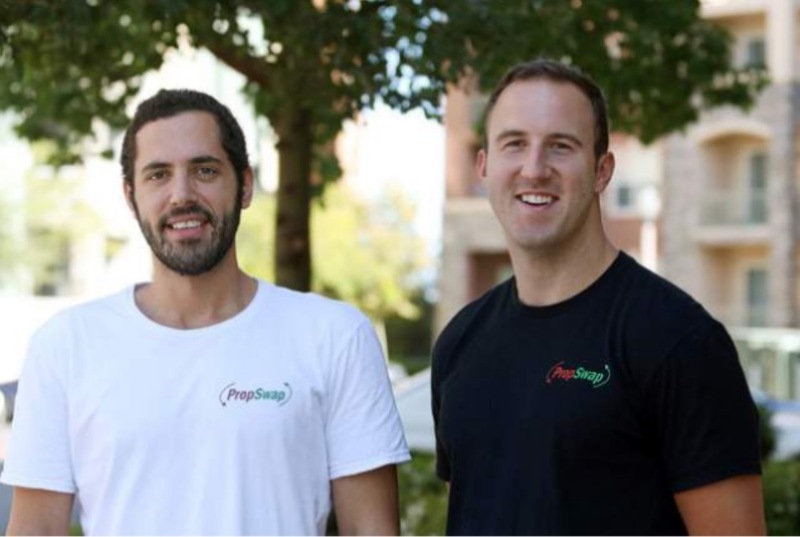 It’s on the front of everyone’s mind.” When PropSwap launched, Pergande said, he could never have imagined expanding into so many states. But in 2015, nationwide sports betting legalization was still a far off dream. Now that it is a reality, and sports gambling has been legalized in more than a half-dozen states, PropSwap is looking to expand past the 11 states in which buyers can currently purchase tickets. Up next, Pergande hopes, is expansion into California, even though the state with the biggest population in the country hasn't fully embraced gaming or sports betting. “Everyone wants California,” he said. “We’re certainly working on that. That’s just a matter of seeing how they’re going to explore sports betting. We see what the sentiment is toward sports betting and go from there. I look at the gambling that goes on in California, and I’m not that impressed with it. Casino locations, quality isn’t there, so that means maybe stakeholders aren’t that high on it? Casinos in Connecticut, in New Jersey, in Pennsylvania, those guys are hustling. Those are quality casinos. Rivers in Pittsburgh, SugarHouse in Philly. Those would be the guys who’d launch it first. If you want to have mobile, have to partner with brick and mortar. Brick and mortars aren’t that advanced in California." Pergande recently moved to Atlantic City to open the second PropSwap office on the East coast, and he has already been floored by the live action in the city, after sports betting was legalized in New Jersey in June. “It’s been fantastic,” he said. “If you would’ve told me when we started that I’d be walking into the Borgata and seeing thousands of tickets floating around, I wouldn’t have that happened. I thought we’d be Nevada only for a while.” Now the key for Pergande and Epstein is to convert some of those tickets into saleable ones. “(With expansion into more states) we certainly have more logins and registered users, and we’ve experienced a bump up in our footprint,” Pergande said. “More bids are being submitted. We’re hoping it encourages sellers to come forward. We have drastically more buyers than we do sellers. I’ve studied AirBnB, Uber, other marketplace companies and you’re always going to have a disequilibrium. More riders than drivers. More tenants than hosts. It takes time for sellers to figure out there’s a really good market out there.” On Saturday afternoon, Pergande was working on one major ticket sale. A seller got in on the Red Sox at 14/1 for $3,300 back in late-May. He’s currently weighing a $10,000 offer for a ticket that would pay out $46,200. And now, that buyer may come from Illinois or New York.